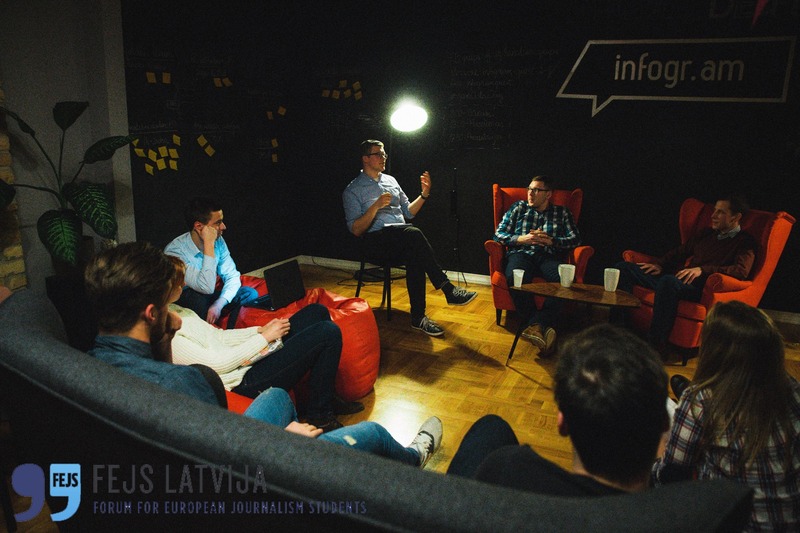 A gathering of young journalists organised by FEJS Latvia. Photo by Ilze Nariše. European Youth Press works together with over twenty member organisations. Who are these organisations and what do they do? Every month we introduce one of our member organisations to our network of young media makers. This month it’s time for FEJS Latvia. We had a chat with new chairman Dinija Jemeļjanova. EYP: What kind of organisation is FEJS Latvia? DJ: We are an organization that strives to promote conversation. We organize public discussions and workshops on and around journalism, creating spaces for networking and debate. We work as a boost for the democratic system that is in place in Latvia, and try to encourage other (especially young) people to join in. For instance by promoting participation opportunities in journalism to our members and the public as often as we can. EYP: What kind of future do you foresee for young journalists? And how can young journalists prepare themselves ? DJ: Since our organization is based in a relatively small country, for us it is very important to help young journalists understand that there is this huge space for them to grow professionally. To see opportunities presented not only by national, but European, transnational media. Populists in various European countries are pushing to close borders, which could end in closing up intellectually as well. The challenge today is to resist that and keep the connections open, so we can keep learning from each other and support one another in our challenges. Nothing is more important to journalism than to keep the conversation going, and for that we have to make connections and listen. 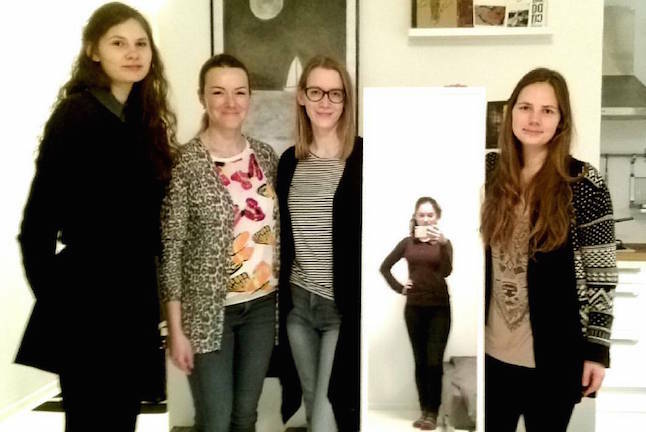 The Executive Board: Dinija Jemeļjanova, Arta Avena, Marta Sondare, Sarmīte Gaidule (in mirror) and Lote Lārmane. EYP: Why is it important that your organisation exists in Europe? EYP: What achievement of FEJS are you most proud of? DJ: We are proud of our projects and events where we can discuss ideas, problems and difficulties in the media in Latvia. However, we take the most pride in our members and ex-members, who work as highly valued journalists in Latvian media, as professionals in transnational organizations and foundations all over the world. These are people who have used the opportunities that FEJS can provide them with and multiplied them with their great work and involvement. EYP: How do FEJS Latvia and EYP benefit from their collaboration? DJ: Since FEJS Latvia is an EYP member organization, we have been actively participating in EYP’s projects, sending our best members as representatives from our country. 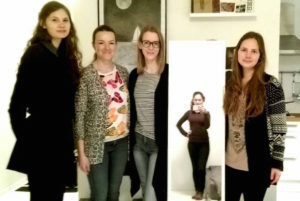 Some of them (Anna Ūdre and Nika Aleksejeva) have even been involved in EYP projects as organizers, giving back to the network and sharing our ideas as well. EYP: What are the next steps for your organisation? DJ: As for the national level, our focus next year is going to be on education. Media literacy is extremely important, as well as the quality of communication and journalism studies in Latvia. Our goal is to unite students from all universities in Latvia that provide bachelor programs in journalism and also reach out to kids in school to help them understand the power of media. Next, we hope to develop a stronger connection to EYP by collectively organizing projects. For news and opportunities with FEJS Latvia, please keep an eye on our website.